Kobalt now has a cordless miter saw part of their 24 volt line with the new Kobalt 7-1/4-in 24-volt Max Dual Bevel Sliding Miter Saw. 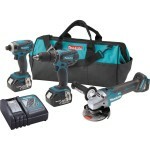 A big thanks to Cody Robertson for spotting this on the Lowe’s site! Kobalt’s cordless miter saw uses a small 7-1/4″ blade which means a small vertical cut height however being a slider means it can cut wide 2x lumber in one pass and can cut up to 2×14 lumber. Small miter saws such as this one can come in handy if you don’t need a tall cut capacity since they are small, light and very portable. It’s also a dual bevel saw for making bevel cuts in any direction so you don’t have to flip boards around. 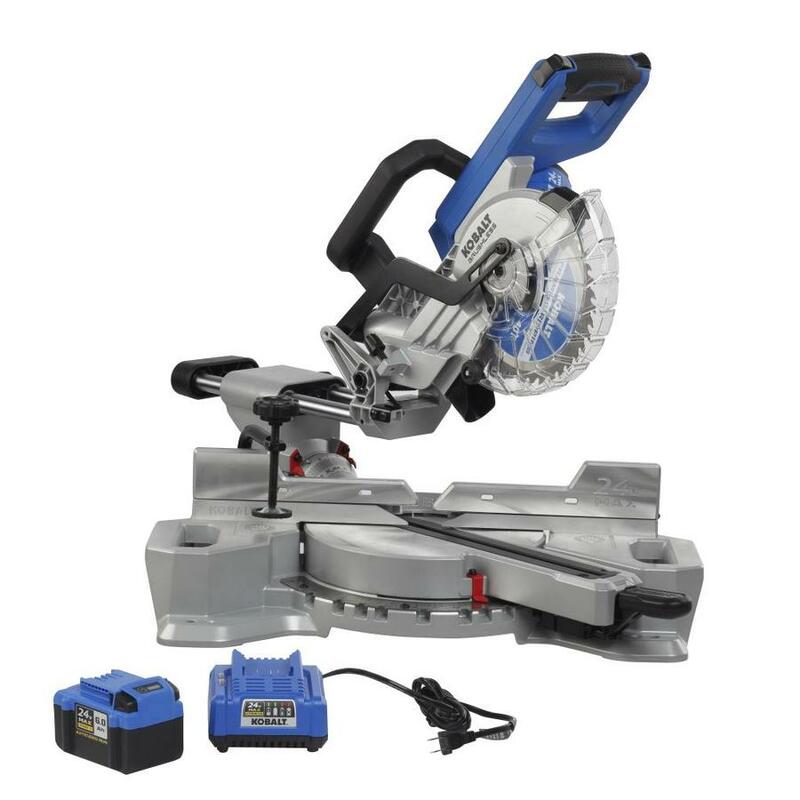 What’s also nice about Kobalt’s 24v miter saw is that it’s a brushless model which means more cuts per charge and possibly extra performance. 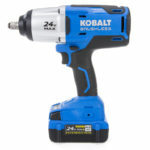 Kobalt’s model is also good value as it’s priced at only $329 as a kit with 6.0 ah battery and charger. 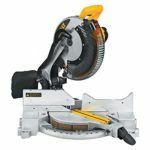 This makes it more affordable than Dewalt’s 7-1/4″ sliding miter saw kit and offers a 6.0 ah 24 volt battery with more capacity than Dewalt’s included 4ah 20v battery.